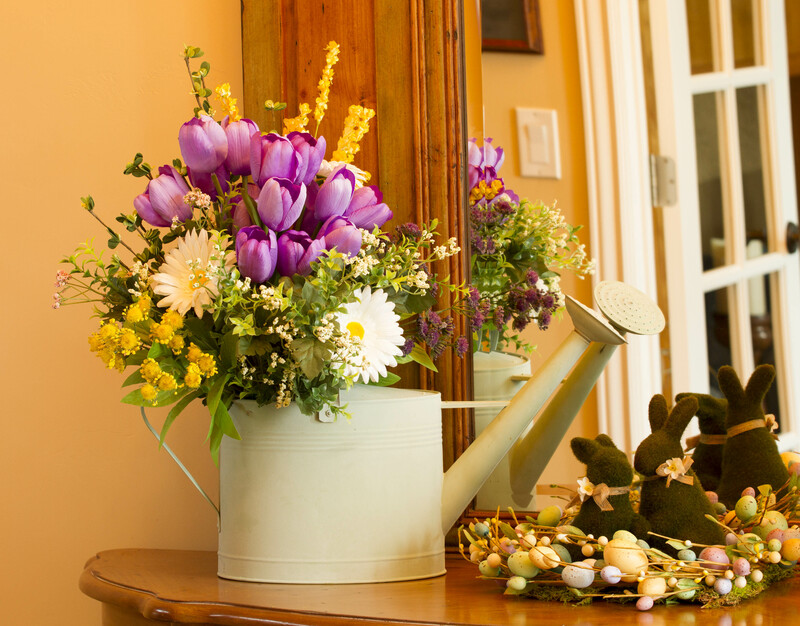 I thought I would share some easy Spring and Easter Ideas to brighten your homes. Generally I am not a big seasonal decorator except for Christmas but I do like to add some touches and add pops of color in the spring. An easy way to lighten up your home is to bring nature indoors with flowers, baskets, garden accents, and nests. I purchased this watering can at a yard sale and added greenery and flowers to greet visitors in the entry. Because the flowers and greenery are not real, this will last into summer. Then I simply switch out the spring flowers and add summer flowers. 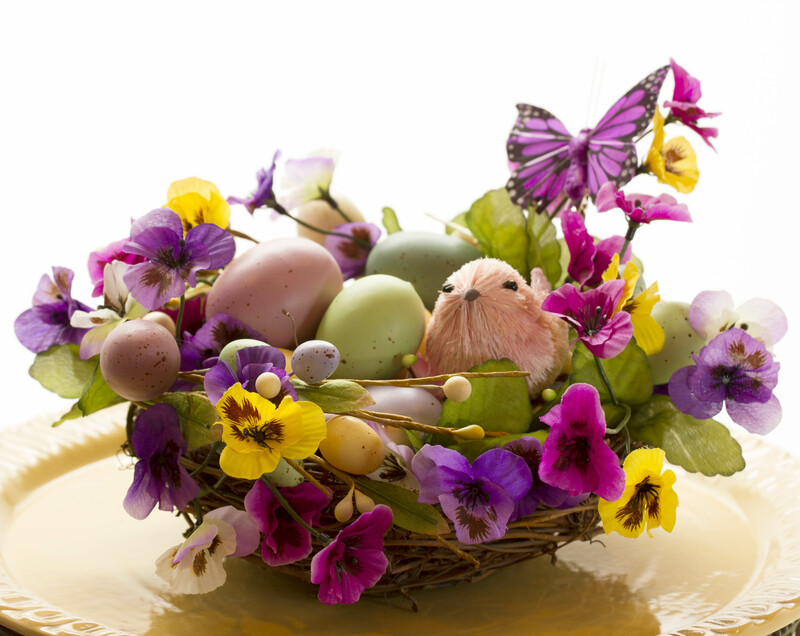 Nothing says Spring and Easter like tulips, a hand full of pansies, eggs, and a rustic nests. I started with a simple twig nest and added egg sprigs and pansies around the rim. 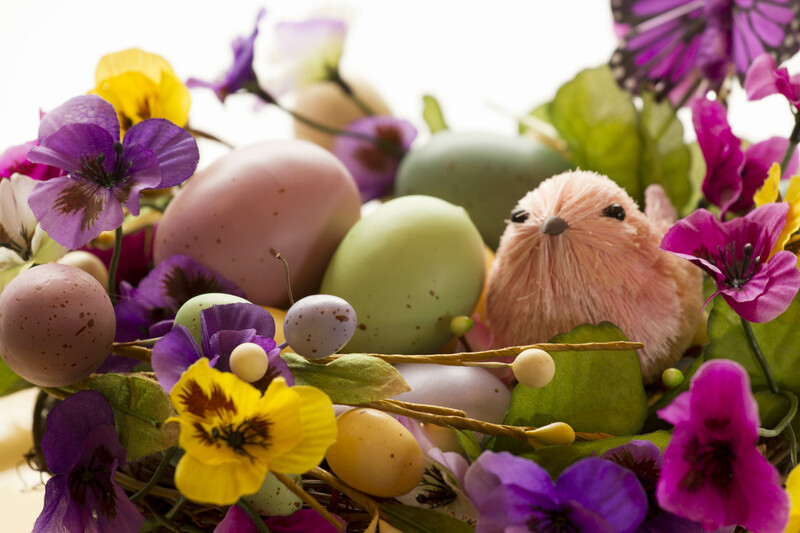 I filled the nest with colorful eggs and a small bird. A purple butterfly adds a pop of color in the back. Of course what would Easter be without candy. I use candy to decorate because of the colorful and cheery selections. Dollar stores sell a nice assortment of inexpensive seasonal candy. Since I throw the candy away (we are sugar-free) I don’t have to find a place to store them. 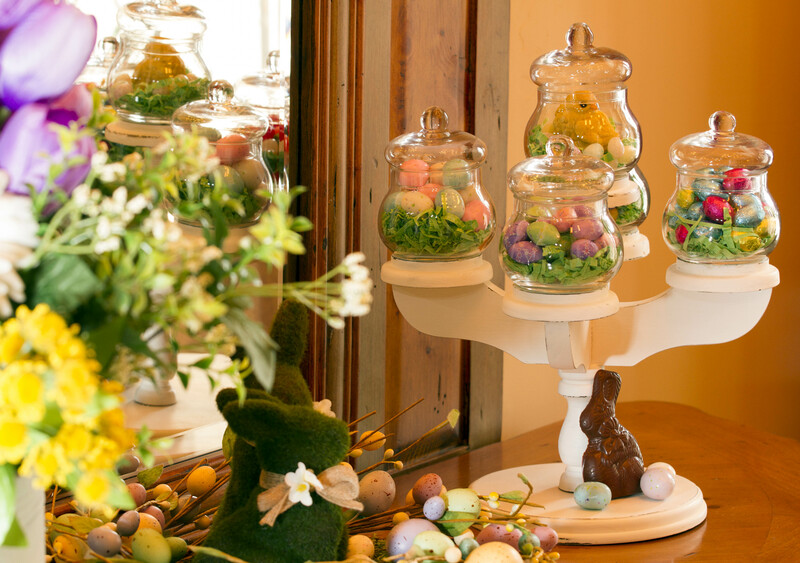 Adding candy to seasonal accents such as a table scape is a fun way to decorate. So bring in your watering cans, garden accents, rustic twigs, and flowers and get creative decorating your home. Happy Spring! 09 Mar	This entry was published on March 9, 2014 at 8:49 pm. 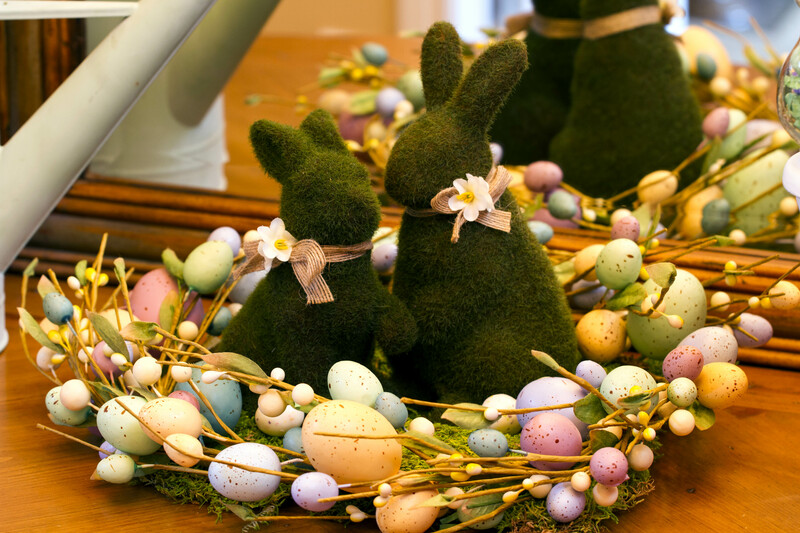 It’s filed under DIY, Holidays at the Cottage and tagged Arrangements, bunnies, decorating, DIY, Easter, eggs, Floral, flowers, nests, spring, Spring Decor. Bookmark the permalink. Follow any comments here with the RSS feed for this post.